Over the last few months, I have been relearning the methods and lessons that Erle Stanley Gardner, best-selling author and creator of Perry Mason, had learned as I have written this series of blogs for The Writers Lens. It is sad that this is the end of that series, but I will end this with some final advice he had for writers. Before the creation of the Internet, writers struggle their way through the pulp magazines. Those magazines served as gatekeepers. Some of these magazines still exist and there has been a birth of a newer version of them called e-zines. This quirky industry of ours is evolving and I will not even attempt to enter into the debate of the pulp still serving as guardians or not — as I am unsure. What I am sure about is that the lessons Gardner came out of the process with our lessons all of us could learn from. Like attorneys, wood pulp writers were paid by the word. Unlike attorneys, they were not paid as well. The amount an author was paid at the height of the Golden age of wood pulps was one the five cents per word. [In case you didn't recognize that price, the amount hasn't changed at all since the 1920s and 30s.] This might lead the reader to believe that authors could pad their stories with extra words. Forget it! "An editor is just the buyer of a commodity called a story. Of course he tries to buy it as reasonably as he can; for this reason if you can buy is a good story for two cents and another man offers him for three cents, he buys the story for two cents. "I have always said that just an employee takes his life in his hands when he asks for a raise — so it is with an offer; for, while the employer might give the employee a raise during haying time, he might immediately go out and look for another man — and so when an author is set up on a certain rate, if the editor thinks he isn't worth that rate, but a lesser rate, he'll only my stories worth the money — the others just go back." Gardner eventually won his argument over why you should gotten a raise, however this argument is a great reminder the writing is a business like any other. Gardner learned that if you want to get paid more you have to work harder and publish more. When Gardner began his career as an author, he wrote timid, brief and banal letters to the editors to sell his work. He started by following the age-old advice, which I know I have heard often when growing up, "If you don't have anything to say, don't say it." He learned very quickly that was a fast road to rejection. Gardner was an attorney, writer, and the salesman. So, he became a prolific correspondent with an "ebullient, outgoing approach." In fact, there was one editor who expressed relief that he wasn't paying Gardner per word for the letters he wrote. Guess what? He was, because he was buying and publishing Gardner's stories. Gardner also broke with tradition that most writers follow regarding letters to the outer. Most writers write a letter and expressing confidence in his work and try to show the editor why a work is brilliant or should be immediately published. Not Gardner. His letters caught the recipient's attention and he seldom wasted time getting to a first name basis. He would write letters to the editors have the time begging them for information on editorial needs, reader information, and he would tell them stories about his adventures in obtaining the research about the story he was pitching. Gardner was honest about his story and how he felt about it when he tried to sell it. "You know, I'm more or less green and again, and I don't know all the rules." "Dog-gone if I know much about my own story analysis." "Maybe other writers have my same problem, but are such good liars they don't admit it, or maybe I'm just mediocre." "I can't judge my own work." I am not sure what professional editors or agents would say to him today, however Gardner was actually following a primary rule of story writing when he did this. We know, as writers, that our main goal (besides telling a good story) is to obtain the reader sympathy for our characters. Gardner, in his letters to the editors, treated himself as a character and went after the editor's sympathy as the reader. Regardless of what we might think looking back or if this style still works today, he was successful and makes a clear note to the modern writer that when we try to sell our work we should always write a good letter and attempt to obtain reader sympathy with that letter. This is a lesson that many writers who have been successful have learned. 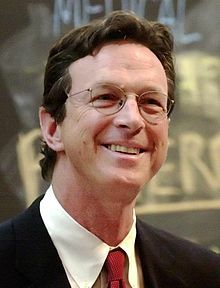 One such writer, besides Erle Stanley Gardner, that immediately comes to mind is John Michael Crichton. I remember reading a story published by the BBC of someone who challenged Crichton about one of the stories he wrote, saying that he got the facts wrong. Crichton responded, and I paraphrase as I do not remember the exact quote, that his job was to write a good story first and get the facts second. Both Gardner and Crichton as well as other authors have learned this lesson. However, this does not mean an author can be sloppy are nonchalant regarding the facts when building a story. Gardner learned from Arthur E. Scott, editor of Top-Notch in 1924, a maxim that was one of the hardest lessons for him to comprehend at the beginning author: "truth makes bad fiction, although fiction must read like truth." Authors have always been required to get the facts correct — or have the? The writer's first job is to tell a good story. In fact, sometimes certain truths must be altered or ignored to make that story. Where the art of writing comes into play is in the understanding of the rules of fiction, understanding the facts, and then knowing where they can ignore a fact or break a rule. Instead of talking about Gardner or using one of his stories as an example, let me use Crichton for a moment. From what we can do scientifically today, there is no way that we can genetically reproduce dinosaurs from preserved DNA as Crichton did in Jurassic Park. However, we know and reportedly have succeeded in bringing back plants from that time from preserved DNA. But let's face some facts. How exciting would a story be of people running around in a Jurassic botanical garden, where industrial espionage has caused the plants to escape their holding cells while people are trapped in the park by a terrible storm? Did you just yawn at the thought? I did. However, turn those plants into giant roaring dinosaurs and now you have a story. Note, that the dinosaurs behaved as our current research seems to indicate that they would have and the rest of the facts appear to be correct. Crichton, didn't let the tiny fact that it was unlikely dinosaurs could be brought back to life stand in the way of telling a good story. Nor did Gardner allow a fact stand in the way of his stories, which are still sold and read today. "I wanted to caution you about your characters. Be careful not to tread on Carroll John Daly's toes. Both of your characters are very similar to his Race Williams. So far, you have handled it nicely, but I think you should read some of daily stories and consciously avoid duplicating any of Race Williams' stuff. Please don't misunderstand me — I know you won't. He is one which I referred to is merely that both you and Daly tell your stories in slang . . . All have contempt for law and take justice into their own hands. You can really see how easily confusion might result, and how both you and Daly might someday be at each other's throats. I have always spoken to Daly about it. As I have said, at present all three characters have distinct personalities — Williams, a private detective; Jenkins an outlaw; Larkin, an adventurer with no desire for gain." Gardner admitted that he had studied Daly stories, but with the idea of making the characters different. Nevertheless, he became quite aware that he could be close to poaching on another author's work. Gardner learned that you had to be unique and your characters had to be unique as well. Sadly, Gardner was accused of imitating Dashiell Hammett's objective style and private detectives, a charge "which Gardner highly resented and hotly denied for many years." Today, and maybe this has been the case all along, plagiarism appears to be rampant. As mentioned in lesson four, many beginning writers learn their craft by imitating others. Sometimes that leads to accidental, and sometimes premeditated, plagiarism. Beginning writers sometimes do not realize that when they are poaching another author's style or fiddling with those ideas they are quickly falling into a rut and becoming hackneyed. (b) the way in which it happens." One of the hard lessons the Gardner learned early in his career is that if you're trying to write "art for art's sake", then you are in for a disappointment. Editors and agents do not necessarily by stories on the basis of their personal preference for literature. One editor pointing this out to Gardner shortly before he moved to a new magazine, "I really enjoyed 'Hard as Nails,' which is more than I can say about some the stories we buy. Damned tiresome always reading stories with the idea of pleasing imaginary readers." But the fact is a good editor or agent is one who has a hold of the readership and the industry and can send, like an EKG, the faintest change in a heartbeat of what they're looking for. Gardner responded to one such note, reiterating the lesson he learned, "You say that you think the readers would rather be excited that interested, would rather have the emotional appeal to that intellect. In this I entirely agree with you." Many would-be writers often fell short of the audience because they let slick techniques and writing style invade their stories. 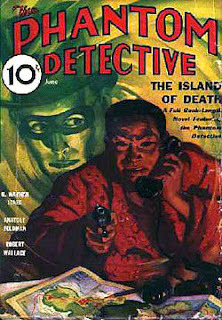 The wood pulp readers wanted action and story not necessarily beautiful narration or shortened lessons in those stories. In a strange way, it is this lesson that led to the creation of a popular lawyer – detective, Perry Mason. Does this excerpt from a letter written to the editor of one magazine sound familiar? This was written in 1926. Perry Mason would not appear until 1933. "How's this? A third person series of a lawyer whose sense of justice is a lot stronger than his sense of legal ethics who habitually outsmarts the district attorney, with the action taken from court before readers eyes or, the first person series of a lawyer who is always consulted by crooks, gets into lots of action outside the courtroom and income into court (the reader being familiar with the facts) and drops legal bombshell. "The only argument against the good legal theories is that they all have to be founded upon some clever trick, some original twist which involves reader thought in order to follow it. I am wondering if your readers don't prefer the type of story in which everything is action and they don't have to think the follow the yarn." Another way of phrasing this lesson is to remember the story of the Wizard of Oz. The author is a wizard, who stands behind a curtain and does all of his magical things. He must not poke his head out of behind the curtain and get in the way of the action of the story. The writer must know their reader and what their reader is looking for from the story. Lesson seven: (a final lesson) You can't flout your readers' morals. Gardner learned that the editor and the agent is a guardian of the readers' morals and beliefs. If they are to remain agents and editors, they have to understand that a reader does not spend money to have their beliefs or prejudices deliberately flouted, even if they are the most militant of liberals who believe that they should be open-minded and listen to things they don't even believe or understand. Gardner found that this was one the most difficult lessons to get across to traditionally "Bohemian writers and crusaders who wanted to display libertine learning or hide messages in their fiction." This does not mean that writers cannot challenge established ideas or prejudices. What Gardner learned is that you can't slap the reader across the face with some issue. Readers want to identify with the characters. The writer cannot win over reader sympathies by bashing them over the head with what the writers sees as some moral injustice against society. Regardless if the writer is writing about some social issue or if they are just writing a good story and adventure, the telling of the story is like seduction. The writer must get the reader to sympathize with the story. There are many good examples of writers who have challenged the readers' morals and beliefs through proper storytelling instead of using their manuscript like a baseball bat to the reader's head. One good example of this is a novel that was written in 1965, which would be eventually made into an award-winning movie and television series, In the Heat of the Night by John Ball. Another good example was written in 1992 by Richard Price titled Clockers. There are hundreds of thousands of other examples throughout literature, mainstream or genre, and has successfully written about social issues. This week, we are offering a very rare book. This is an Advance Reader’s Edition of A Lonely Death, an Inspector Ian Rutledge Mystery by Charles Todd. Advance Reader’s Editions are sent usually to book reviewers to solicit reviews. These are never for sale in a book store and are very few in number. You have a chance to win such a copy. “Scotland Yard detective Ian Ruthledge returns in his most exciting and shocking case yet in this latest entry in the bestselling series hailed as ‘outstanding’ by the New York Times Book Review. “If you haven’t experienced the thrilling narrative and evocative atmosphere of New York Times bestselling author Charles Todd, there is no better place to begin than with this superb new entry in the acclaimed, award-winning Inspector Ian Ruthledge series.” – from the back of the Advance Reader’s Edition. A Lonely Death was released for sale in December 2011. How do you win this free book? To enter the contest, simply leave a comment or question on The Writers' Lens between now (Feb. 27) and midnight, Saturday, March 3, 2012. Please include your email address so I can reach you if you win. The more comments you leave, the greater your chance of winning the contest. If you refer others to The Writers' Lens who mention your name in their comments, we will enter your name again in our random number generator along with theirs, also increasing your chances at winning! The winner will be chosen after 11:59 p.m. on Saturday, March 3, and the announcement made on Sunday, March 4. Good luck and comment often. If you are the winner and haven't provided us your email address, please contact twfendley@gmail.com within one month to claim your prizes. Good luck and comment often! Congratulations to Pauline Baird Jones, winner of ebooks of Heidi Ruby Miller's science fiction romance novels, AMBASADORA and GREENSHIFT! Agnes’s childhood home is surrounded by woods that hold a frightening secret. Those woods call to her like a siren and want her to return to them and the scene of the horror she faced as a teenage girl. 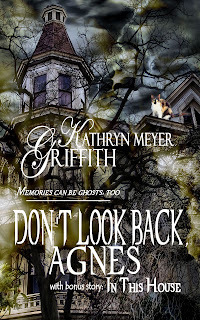 When she returns home, her ailing mother is haunted by the ghosts of long ago, wanting Agnes to go back to the woods. The events like those of long ago are reoccurring and new and old friends—and strangers who hold to the shadows—want Agnes to try to remember what she has forced from her mind. All she wants to do is escape from it. What can Agnes do? Griffith has written a fun and cozy spooky paranormal romance novella that will keep you wanting to turn the pages. Her characters are rich and weave a haunting ghost story of fear, love, and survival. She deftly weaves the story of a woman who wants nothing more than to forget her past and run away from it forever, but Agnes is trapped. 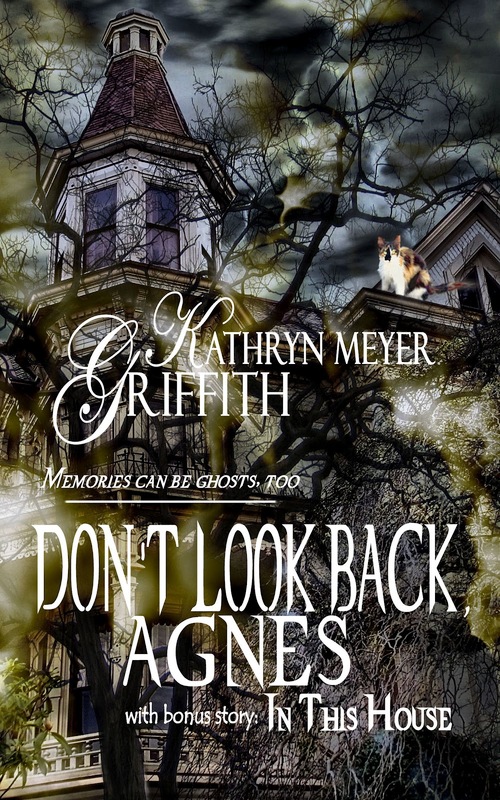 Agnes' mind cringes from the pain of the past—and whose wouldn’t when she was the only one to survive the experience. Since childhood I’ve always been an artist and worked as a graphic designer in the corporate world and for newspapers for twenty-three years before I quit to write full time. I began writing novels at 21 and have had fourteen (nine romantic horror, one historical romance, one romantic suspense, one romantic time travel and two murder mysteries) previous novels and eight short stories published from Zebra Books, Leisure Books, Avalon Books, The Wild Rose Press, Damnation Books and Eternal Press. The winner of Dancing with the Devil is . . .
Read St. Louis 2012 Starts Soon!